As victorious Cavaliers and losers Vincy players gathered for an after match meeting at Greenland on Sunday following the last game of the BVI Cricket Association Twenty 20 League, four Royal Vikings players walked on the field towards the scoring booth. Facial expressions on all three groups were different. For Vikings, it was like going to the morgue to identify their own corpse. 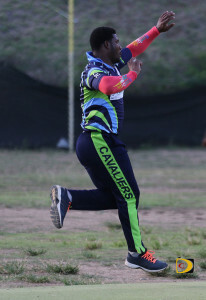 It was just two years ago that the Vikings were jubilantly celebrating on the same field, after denying Cavaliers their fifth successive BVI Cricket Association Twenty 20 League title in a dramatic super over two-runs victory. However, Cavaliers’ triumph over Vincy on Sunday, relegated 2014 champs Vikings from the league’s Premier Division to Division I, for the 2017 season. 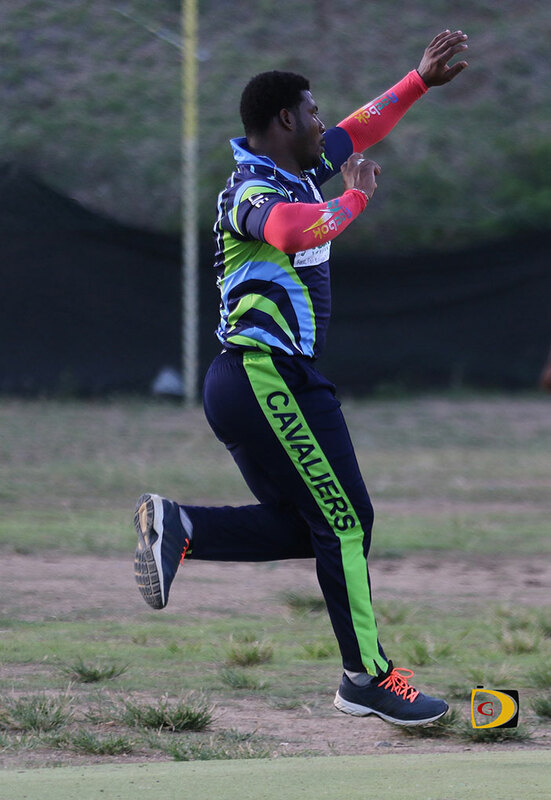 Heading into the match both Cavaliers and Vincy knew that only a win would keep them from being relegated to Division I. Cavaliers found themselves in an early hole, down two wickets for just 9 runs. But, Dorian Auguiste (59) and Mohamed Hasan’s (80) combined in a 114 run partnership for the third wicket, repaired the early damage and restored the team’s spirit en route to a total of 194, as Aaron Baker, was the only other batsman reaching double figures. Vincy’s Earl Prescott finished with 3 for 14 and Kenrick Leslie, 4 for 33. In reply the Vincy made a spirited attempt to chase down the target but lost wickets at a steady rate as a succession of batsman got starts, but failed to capitalise. Captain, Bront DeFreitas top scored with an unbeaten 41. Desron Maloney hit 36 and Cameron Williams 22, but due to some tight bowling the Vincy were restricted to 174-8. Jagnerine Persaud picked up 2 for 34 and Vin Rambarose 2 for 39. With both the Vincy and the Vikings on three points, it all came down to net run rate to determine who would be relegated to Division I next season. By reaching 174, Vincy did just enough to maintain a higher NRR than the Vikings, who fell from the Premier Division. Grenada finished on top of the final group standings, with the Royal Knights in second, the Cavaliers third and Vincy fourth. Playoffs begin on Sunday with Grenada and Royal Knights facing off at 2 p.m. for a place in the final. The loser of that game will then wait for the winner of Cavaliers and Vincy on April 24, in what will become a semi final match. In Division One, Virgin Gorda United leapt into second place with a 100 run victory over Under the Tree, who finished third in the standings. Batting first, Virgin Gorda used Dennis Alister’s 134 and 26 from Maxford Pipe, to rack up 240. Under the Tree’s Travis Jack finished with 3 for 31. Sessie Ells, 3 for 39, Randolph Davis 2 for 48 and Colin Ollivierre 2 for 49. In reply Under the Tree batsmen though, had no answer to Michael Castillo, who picked up 5 for 43 as the chase crashed at 140 all out. Emerald Prince top scored with 40 and Ells had 39 not out. Jackson said that in Division I, those teams have gotten to play more cricket, which has given them a chance to develop their squads. In previous years, they would have played a couple of games before being knocked out, now they are guaranteed four games and playoff fixtures as well.